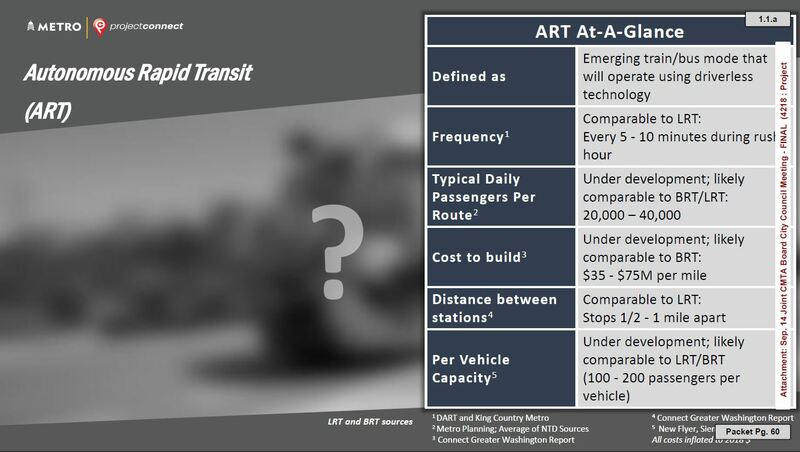 Project Connect slide illustrating “Autonomous Rapid Transit” technology at joint Capital Metro/City of Austin work session Sep. 14th represents currently hypothetical, undeveloped technology as question mark, yet proposes it for inclusion in new “Vision Plan”. Meanwhile, plan with proven, available modes including light rail transit (LRT), presented in February 2018, has been withdrawn. Graphic: Project Connect. This post is a publication of comments made by Lyndon Henry to a public hearing held by the board of directors of Capital Metropolitan Transportation Authority on 17 September 2018. 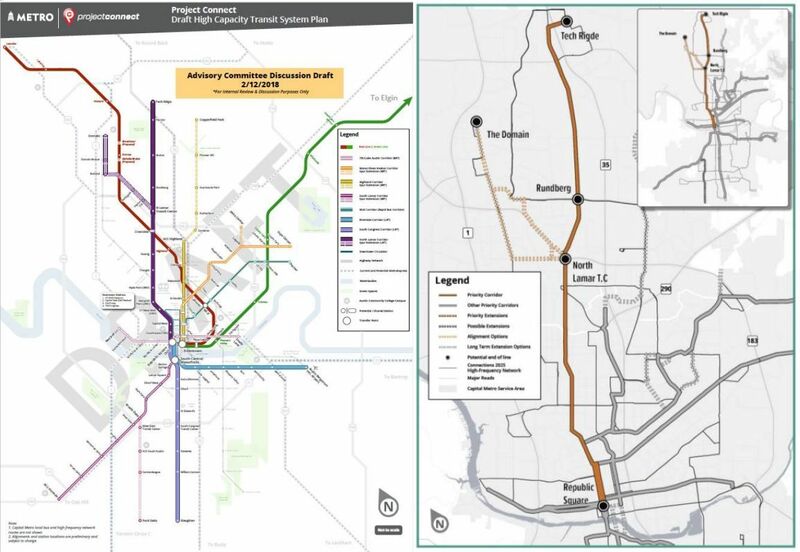 (The remarks refer to a “presentation this past Friday” – made by Capital Metro’s Project Connect planning team to a Joint Capital Metro Board/City of Austin City Council Work Session on Friday 14 September.) Henry is a technical consultant to the Light Rail Now Project and a contributing editor to the Austin Rail Now website. I’m Lyndon Henry, a transportation planning consultant, former Capital Metro Board member, and currently a writer for Railway Age magazine. 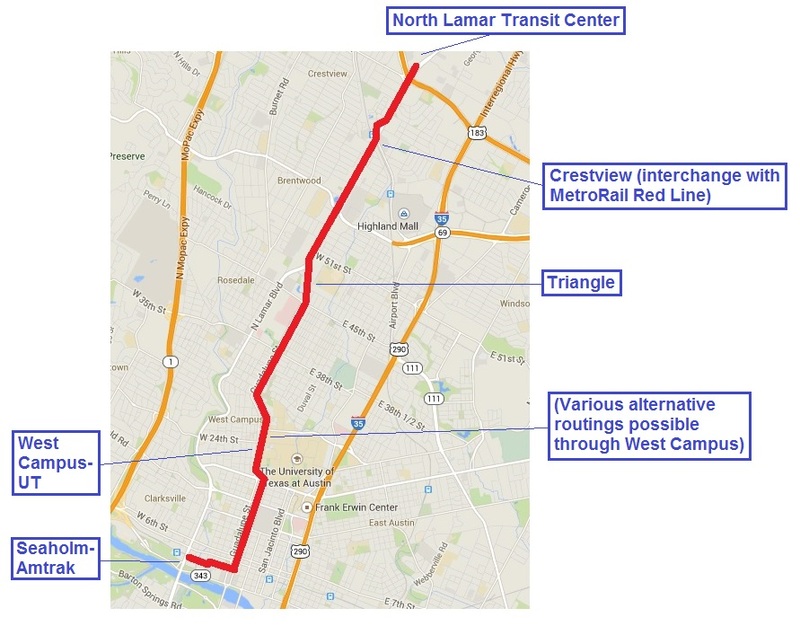 Seven months ago, Project Connect at last presented a viable, attractive public transport plan, centered on a central light rail line from Tech Ridge to Slaughter Lane that would connect the city’s heaviest local travel corridors – Lamar-Guadalupe and South Congress. It was a plan that won substantial acclaim from the community and reflected what was already supported in public surveys. Astoundingly, within a month that plan was taken off the table, and apparently discarded. To judge from the presentation this past Friday, that realistic, workable plan has now been replaced by a question mark – literally. 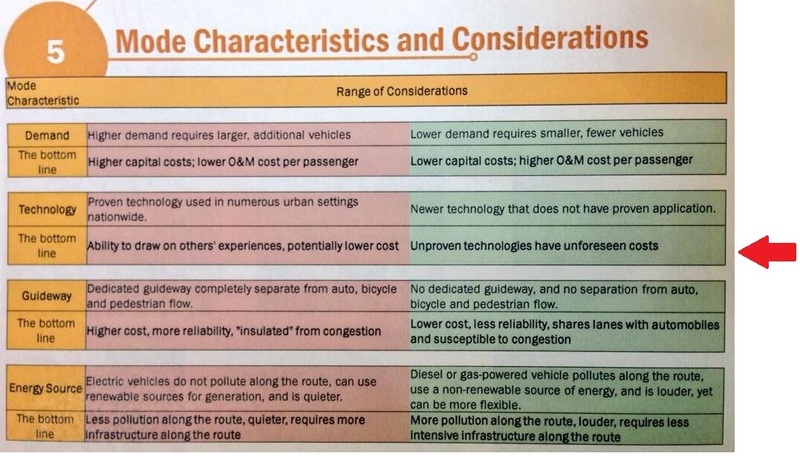 While Austin is facing a painful and mounting mobility crisis, we’re now informed that official planning is expunging rail from consideration, and has been re-focused on a buses-only operation predicated on visions of a totally untested, effectively imaginary technology (identified with a question mark in presentation slides). This recent abrupt about-face in the direction of Austin’s public transport planning is extremely bad news – for urban public transport and the future mobility and livability of this entire metro area. Besides the trashing of the orderly planning process, the implications for Austin’s public transport are potentially far more seriously damaging. 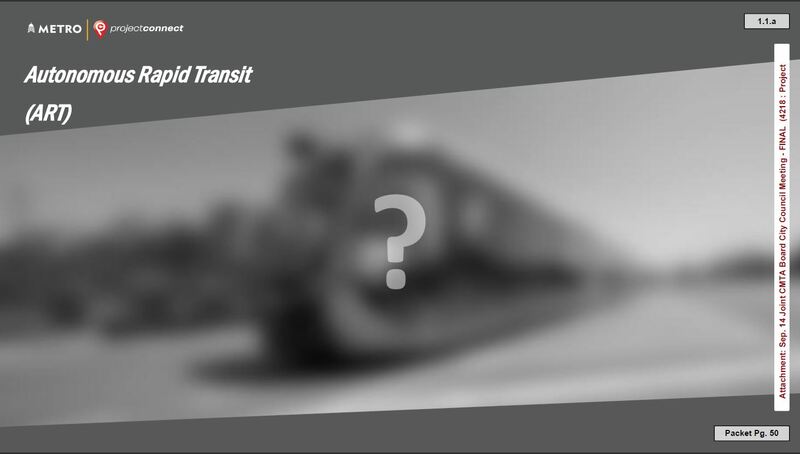 Slide from Feb. 14th Project Connect presentation shows hypothetical “Autonomous Rapid Transit (ART)” as question mark. Since mode is currently imaginary, characteristics and performance claims for it in chart are apparently based on pure speculation. Does a currently fictional technology merit inclusion in a presentation of critical public transport options? Graphic: Project Connect. It says a lot that, since the late 1970s, at least 19 North American cities have opened brand-new light rail systems, almost every one of which has decisively reversed previously declining ridership, increased public attraction to transit, improved urban livability, sparked economic development, and attracted real estate development to cluster near the rail stations. In contrast, the results for the handful of new BRT [bus rapid transit] and quasi-BRT operations have been spotty, and at best a pale shadow of light rail’s success. 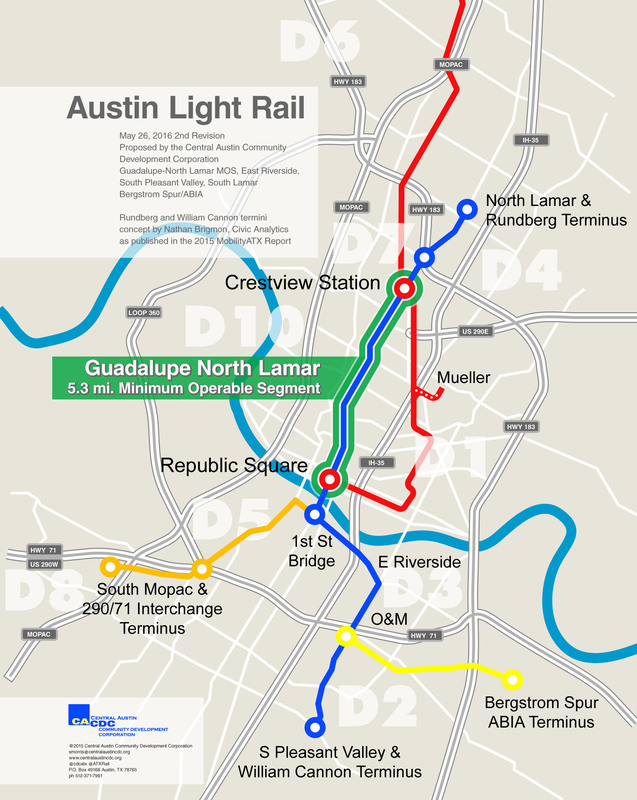 In Austin, over the past 28 years, at least three multimillion-dollar publicly sponsored comparative studies have selected light rail as the superior mode to BRT, particularly in key features such as capacity, cost, and various community impacts. 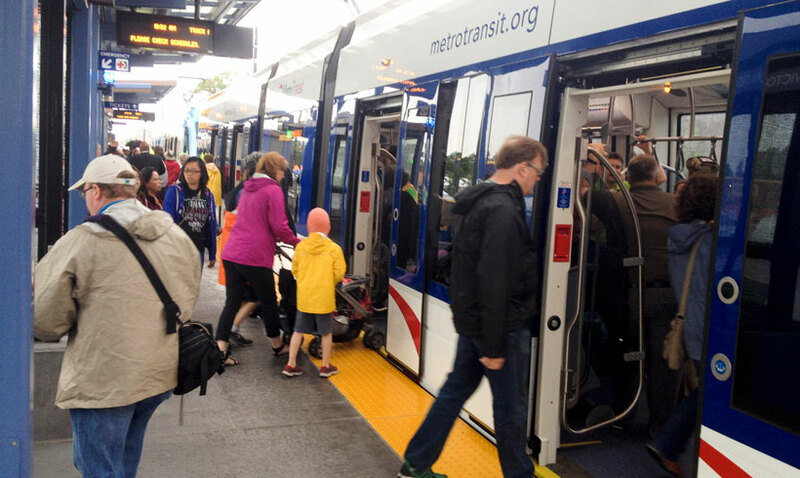 While new technology can improve transit, it must be rigorously tested and proven. But in terms of demonstrated workability and performance, the latest “transit vision” of “a regional system of autonomous, electric-powered buses moving in platoons” is little more than a fantasy, and quite possibly a fraud. Four years ago, the Project Connect team rejected reliance on “Newer technology that does not have proven application”, and warned that “Unproven technologies have unforeseen costs”. Now those caveats have disappeared, replaced by assurances and hype. Project Connect chart from 2014 includes warnings (annotated with red arrow) against “Unproven technologies”. Graphic: Project Connect. But what proponents seem to be actually committing Austin to, in reality, is BRT for the region’s major “high-capacity” transit system. The idea seems to be to place all our hopes on an unproven hypothetical technology that will emerge – and be satisfied with BRT in the meantime. Yet while the Austin region’s mobility crisis continues to worsen as I speak, light rail is available now, a well-proven mode with a long record of success. It’s out-performed BRT and proven far more affordable than subway-elevated alternatives. I urge you to reinstate that February plan with a central light rail spine so Austin can continue to move forward with a real-world solution to our mobility crisis. Thank you for the opportunity to put these observations and warnings in the public record. 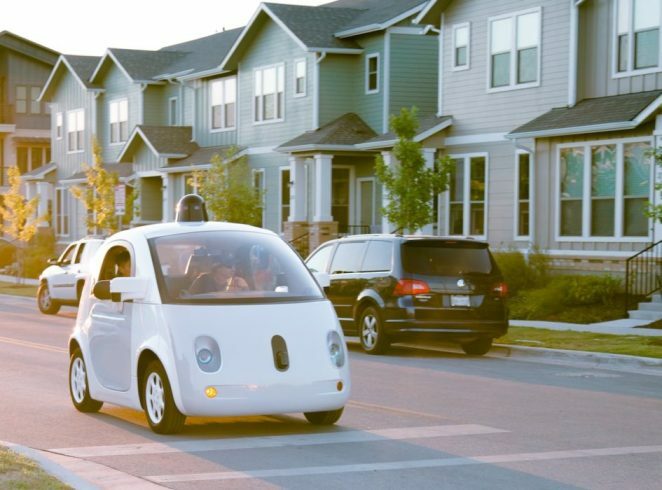 Austin’s “Smart City” vision is still mainly about cars and buses and roads. Graphic: Austin Tech Alliance. Austin Transportation Dept. Director Robert Spillar has a vision of the city’s transportation future, and how high tech can solve Austin’s notorious transportation congestion, working along the lines of the Smart City Challenge Austin was trying to win last year. 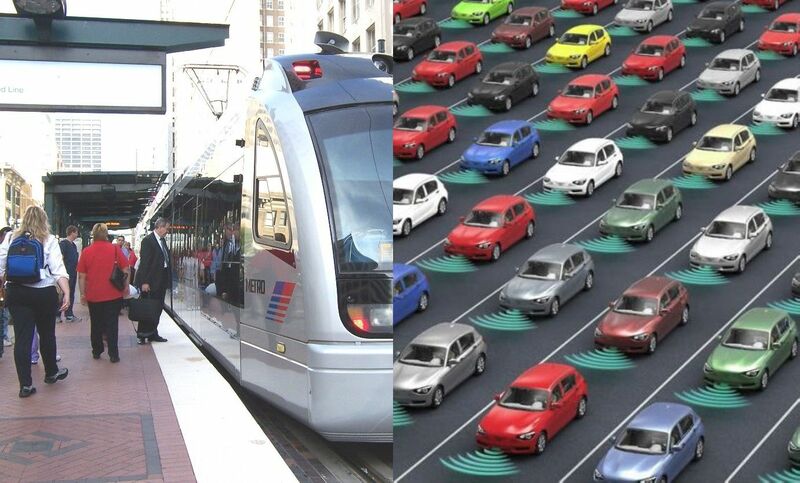 As a recent Governing article discloses, this Smart City vision is still mainly about cars and buses and roads and Austin becoming a “Smart City”, with driverless electric cars steadily displacing gas vehicles. Another major component of Austin’s Smart City application will be put into place thanks to a voter-approved bond measure from November that included $482 million for up to nine “smart corridors” in the city. The improvements along those arterial roads will include a mix of old and new technology: turn lanes, bus bays and sidewalks will go in along with traffic and weather sensors and connected traffic lights. The sensors will help traffic engineers better respond to changing conditions, as well help motorists and improve road networks. Texas universities, for instance, will use the information to improve traffic projections and troubleshoot the road network. The city has already done something similar using Bluetooth signals, which led officials to change a downtown street from one-way to two-way during major events to reduce traffic. 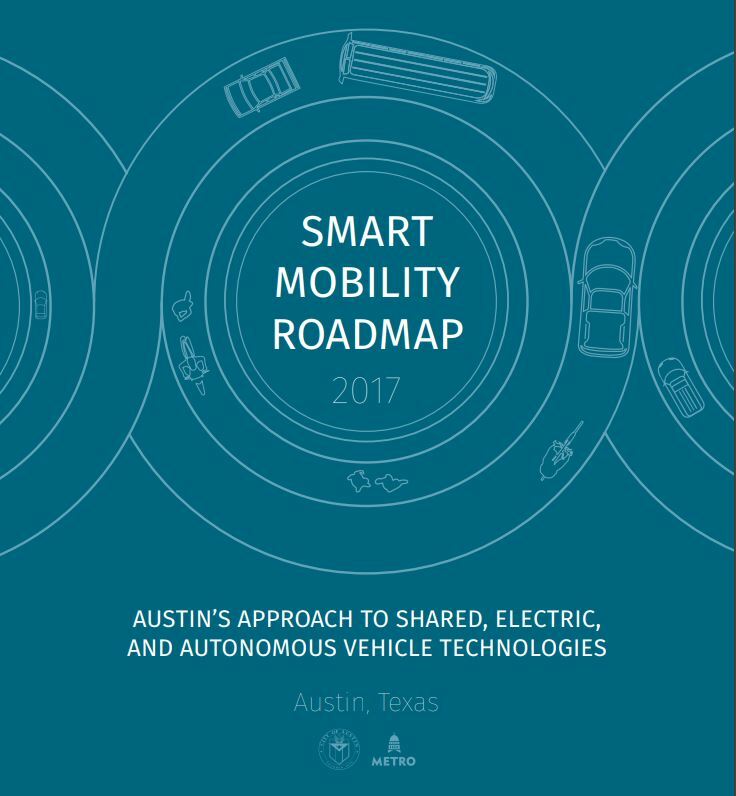 So far as I know, the latest (2017) Austin city marching orders on transportation are publicized in its Smart Mobility Roadmap. The large PDF document gives the barest of mentions of the terms “light rail” on page 40 and “light rails” on page 71 of this 141 page document!! The rest of this document is about how driverless electric cars and data collection everywhere are going to change our lives as part of the Smart City of the future – pure distilled essence of Robert Spillar, reading like science fiction, but expressed as certainty. Since Austin outranks Capital Metro in every political sense, the new Director at Metro had better get friendly with this new Austin-cratic transportation policy agenda. Since the Greater Austin Chamber of Commerce just hired two road transportation enthusiasts, Phil Wilson and Brian Cassidy, as top leaders, I imagine that things can only get worse. A major financing notion being floated in connection with these Smart Mobility plans are PPPs, or Public-Private-Partnerships. But PPPs commonly depend on assuming decades of speculative municipal (or other governmental) bond indebtedness. In this category, the toll roads already built, using high-yield bonds being promoted by the Central Texas Regional Mobility Authority (CTRMA), and then unsuccessfully promoted on IH-35, would be some leading examples. Now that the top legal architect behind the local CTRMA toll roads, Brian Cassidy, is working for the Greater Austin Chamber of Commerce, could he be convinced to shift his legal focus to transit? 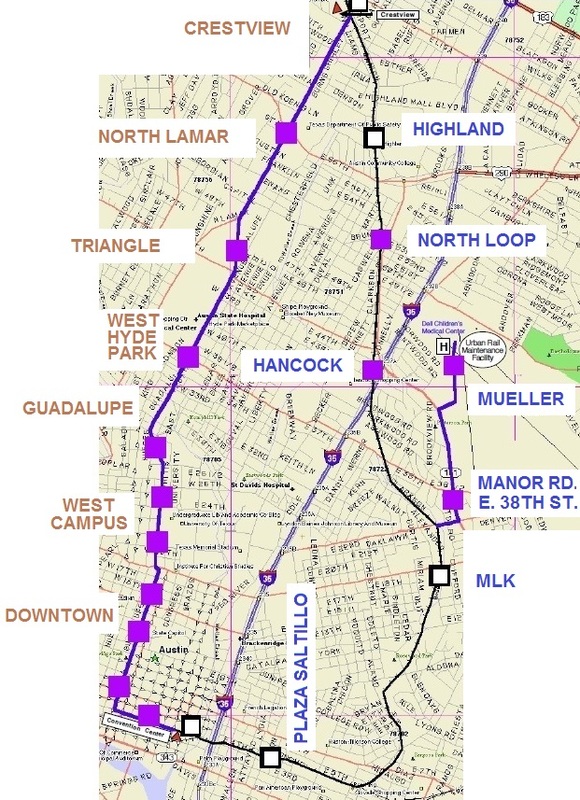 Maybe toward promoting PPP-financed rail on Guadalupe, and as the only way short of a much costlier subway to unclog this important corridor between UT and the Capitol? Unfortunately, the Wall Street needs be sold on at least the possibility for good returns. Rocky Mountain Institute seems to have sold Rob Spillar on the startup potential for Smart Car technologies, which is the hook there. Uber is for occasional use or for tech guys with money, but of little interest for the average commuters that jam up our big roads at peak. Whereas toll roads can be profitable, especially under conditions of rapid sprawl growth and while fuel is cheap, transit is almost never profitable. I think Capital Metro only gets about 8% return from the fare box (i.e., operating revenues cover only 8% of costs). Where does the profit to attract private investment then come from? Why would anyone expect “unprofitable” light rail to attract PPP investment money? Any more than our totally “unprofitable” and poorly maintained sidewalks would do? The strong increased driving trend that took off with the 2014 oil price collapse may be starting to weaken. Low-wage service workers don’t drive as much as they used to do unless they need to commute for work. In my opinion, this nationally weakening driving trend, plus rising global fuel costs yet to come, are likely to create a swing in public sentiment, if not actual dollars, toward transit. A need when buses can no longer be scaled up adequately to do the job on Guadalupe, nor serve the suburbs adequately either. We have forgotten how to make hard but realistic choices, or come up with compassionate solutions.